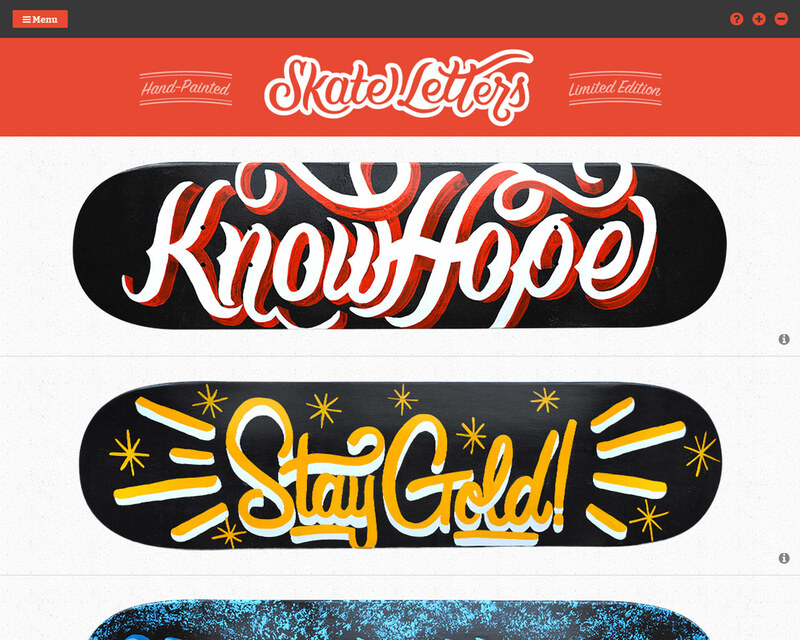 Responsive Landing Page (linking out to a store) promoting one-of-a-kind skateboard decks illustrated by designer Scott Biersack. Nice touch with the grid layout switcher function. Each deck is limited edition with only ONE of its kind. Decks are hand-painted with Sign-Painters' 1 Shot lettering enamel. Letterer, Designer and Illustrator, Scott Biersack, started Skate Letters as a passion project to combine his interests of skateboarding, lettering, sign painting & web design into a single creative outlet.